The widespread adoption of mobile and IoT devices, and increased use of cloud systems are driving a major change in modern application architecture. Application Programming Interfaces (APIs) have emerged as the bridge to facilitate communication between different application architectures. However, with the widespread deployment of APIs, automated attacks on poorly protected APIs are mounting. Personally Identifiable Information (PII), payment card details, and business-critical services are at risk due to automated attacks on APIs. So what are key API vulnerabilities, and how can you protect against API abuse? Many APIs only check authentication status, but not if the request is coming from a genuine user. Attackers exploit such flaws through various ways (including session hijacking and account aggregation) to imitate genuine API calls. Attackers also target APIs by reverse-engineering mobile apps to discover how it calls the API. If API keys are embedded into the app, this can result in an API breach. API keys should not be used alone for user authentication. Many APIs lack robust encryptions between API client and API server. Attackers exploit such vulnerabilities through man-in-the-middle attacks. Attackers also intercept unencrypted or poorly protected API transactions between API client and API server to steal sensitive information or alter transaction data. What’s more, the ubiquitous use of mobile devices, cloud systems, and microservice design patterns have further complicated API security as now multiple gateways are involved to facilitate interoperability among diverse web applications. The encryption of data flowing through all these channels is paramount. APIs are vulnerable to business logic abuse. Attackers make repeated and large-scale API calls on an application server or slow POST requests that result in denial of service. A DDoS attack on an API can result in massive disruption on a front-end web application. Most IoT devices and micro-service tools are programmed to communicate with their server through API channels. These devices authenticate themselves on API servers using client certificates. Hackers attempt to get control over an API from the IoT endpoint and if they succeed, they can easily re-sequence API order that can result in a data breach. broad attack detection and coverage, comprehensive reporting and analytics, and flexible deployment options. Are Your DevOps Your Biggest Security Risks? We have all heard the horror tales: a negligent (or uniformed) developer inadvertently exposes AWS API keys online, only for hackers to find those keys, penetrate the account and cause massive damage. But how common, in practice, are these breaches? Are they a legitimate threat, or just an urban legend for sleep-deprived IT staff? And what, if anything, can be done against such exposure? The problem of AWS API access key exposure refers to incidents in which developer’s API access keys to AWS accounts and cloud resources are inadvertently exposed and found by hackers. AWS – and most other infrastructure-as-as-service (IaaS) providers – provides direct access to tools and services via Application Programming Interfaces (APIs). Developers leverage such APIs to write automatic scripts to help them configure cloud-based resources. This helps developers and DevOps save much time in configuring cloud-hosted resources and automating the roll-out of new features and services. 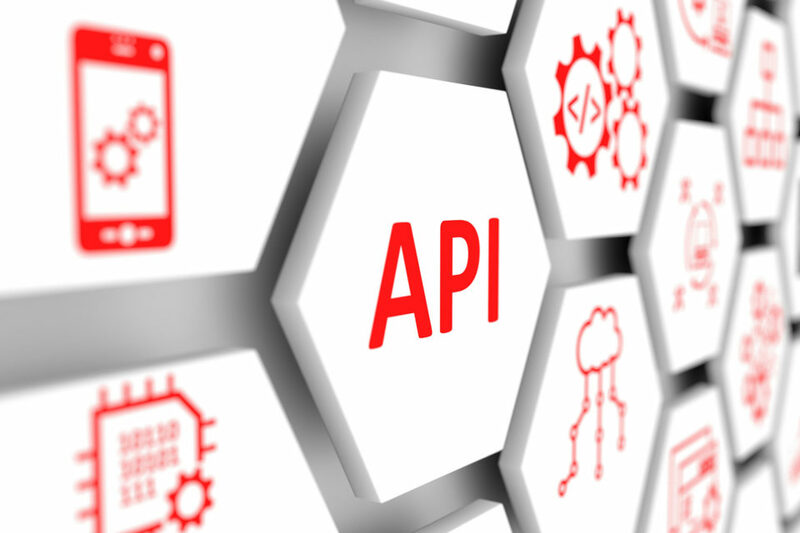 In order to make sure that only authorized developers are able to access those resource and execute commands on them, API access keys are used to authenticate access. Only code containing authorized credentials will be able to connect and execute. The problem, however, is that such access keys are sometimes left in scripts or configuration files uploaded to third-party resources, such as GitHub. Hackers are fully aware of this, and run automated scans on such repositories, in order to discover unsecured keys. Once they locate such keys, hackers gain direct access to the exposed cloud environment, which they use for data theft, account takeover, and resource exploitation. A very common use case is for hackers to access an unsuspecting cloud account and spin-up multiple computing instances in order to run crypto-mining activities. The hackers then pocket the mined cryptocurrency, while leaving the owner of the cloud account to foot the bill for the usage of computing resources. A Tesla developer uploaded code to GitHub which contained plain-text AWS API keys. As a result, hackers were able to compromise Tesla’s AWS account and use Tesla’s resource for crypto-mining. WordPress developer Ryan Heller uploaded code to GitHub which accidentally contained a backup copy of the wp-config.php file, containing his AWS access keys. Within hours, this file was discovered by hackers, who spun up several hundred computing instances to mine cryptocurrency, resulting in $6,000 of AWS usage fees overnight. A student taking a Ruby on Rails course on Udemy opened up a AWS S3 storage bucket as part of the course, and uploaded his code to GitHub as part of the course requirements. However, his code contained his AWS access keys, leading to over $3,000 of AWS charges within a day. The founder of an internet startup uploaded code to GitHub containing API access keys. He realized his mistake within 5 minutes and removed those keys. However, that was enough time for automated bots to find his keys, access his account, spin up computing resources for crypto-mining and result in a $2,300 bill. js published an npm code package in their code release containing access keys to their S3 storage buckets. The problem is so widespread that Amazon even has a dedicated support page to tell developers what to do if they inadvertently expose their access keys. One of the main drivers of cloud migration is the agility and flexibility that it offers organizations to speed-up roll-out of new services and reduce time-to-market. However, this agility and flexibility frequently comes at a cost to security. In the name of expediency and consumer demand, developers and DevOps may sometimes not take the necessary precautions to secure their environments or access credentials. Such exposure can happen in a multitude of ways, including accidental exposure of scripts (such as uploading to GitHub), misconfiguration of cloud resources which contain such keys , compromise of 3rd party partners who have such credentials, exposure through client-side code which contains keys, targeted spear-phishing attacks against DevOps staff, and more. Assume your credentials are exposed. There’s no way around this: Securing your credentials, as much as possible, is paramount. However, since credentials can leak in a number of ways, and from a multitude of sources, you should therefore assume your credentials are already exposed, or can become exposed in the future. Adopting this mindset will help you channel your efforts not (just) to limiting this exposure to begin with, but to how to limit the damage caused to your organization should this exposure occur. Limit Permissions. As I pointed out earlier, one of the key benefits of migrating to the cloud is the agility and flexibility that cloud environments provide when it comes to deploying computing resources. However, this agility and flexibility frequently comes at a cost to security. Once such example is granting promiscuous permissions to users who shouldn’t have them. In the name of expediency, administrators frequently grant blanket permissions to users, so as to remove any hindrance to operations. The problem, however, is that most users never use most of the permissions they have granted, and probably don’t need them in the first place. This leads to a gaping security hole, since if any one of those users (or their access keys) should become compromised, attackers will be able to exploit those permissions to do significant damage. Therefore, limiting those permissions, according to the principle of least privileges, will greatly help to limit potential damage if (and when) such exposure occurs. Early Detection is Critical. The final step is to implement measures which actively monitor user activity for any potentially malicious behavior. Such malicious behavior can be first-time API usage, access from unusual locations, access at unusual times, suspicious communication patterns, exposure of private assets to the world, and more. Implementing detection measures which look for such malicious behavior indicators, correlate them, and alert against potentially malicious activity will help ensure that hackers are discovered promptly, before they can do any significant damage. The application threat landscape has rapidly evolved. For years, users consumed applications over the internet using the common tool – web browsers. At every point in time, there were 2-5 web browsers to support, and the variety of application development and testing frameworks was relatively limited. For instance, almost all databases were built using the SQL language. Unfortunately, not long before hackers began to abuse applications in order to steal, delete and modify data. They could take advantage of applications in different ways, primarily by tricking the application user, injecting or remotely executing code. Shortly after, commercialized solutions named Web Application Firewalls (WAF) emerged, and the community responded by creating the Open Web Application Security Project (OWASP) to set and maintain standards and methodologies for secure applications. The newly published OWASP Top 10 2017 Release Candidate introduces a new application security risk –protection of APIs. It’s not a secret that managing information security is becoming more complex. It is also no secret that there are more threats and more solutions to stay on top of. While it makes me wonder if we are reaching the limit of the capabilities of the human mind when it gets to efficient information analysis for proper decision-making, I am quite certain we can agree that as far as information security professionals go, we are definitely getting to that point, subject to day-to-day constraints.